The fittingly named Kuala Lumpur International Airport is the main international gateway to Malaysia, and sits outside the country’s capital Kuala Lumpur. Many travelers come to Malaysia during summer between June and September, but there is a small spike in December as well. The tourist season hinges more on international holidays than it does Malaysia’s weather, which remains hot and tropical throughout the year. Temperatures stay between 24 and 32˚C (75-90ºF) year round, even during the wet season from November through May. Colourful handmade crafts are the most common souvenirs from Malaysia. 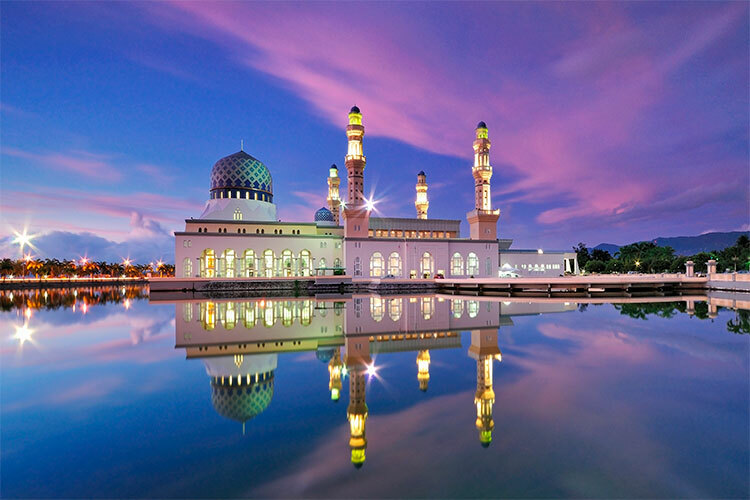 Located in Southeastern Asia, the welcoming country of Malaysia is rapidly rising in popularity among travelers. The country features ample beach, lush tropical forest and extremely friendly locals. Malaysia is split into two sections, separated by the South China Sea. Western Malaysia is located on mainland Asia one the Malay Peninsula. It borders Thailand to the north, and sits just north of the island nation of Singapore. Eastern Malaysia is on the island Borneo, which it shares with Indonesia and Brunei. This massive island (the world’s 3rd largest) holds some of the last unexplored rainforest, and scientists estimate that hundreds of undiscovered species exist in Borneo’s impenetrable rainforest. Early Malaysian history was primarily influenced by the presence of Chinese and Indian traders. Though native tribes like the Negritos existed for many thousands of years in Malaysia, much of its recorded history begins with the establishment of trading ports shortly after the start of the current era. This brought heavy Buddhist and Hindu influences, along with the Sanskrit language. By 1000 AD, a few major kingdoms, including the Langkasuka and Srivijaya, had arisen in Malaysia. However, the Malacca Sultanate wasn’t founded until the 1400s, when the first independent state was declared. This period also saw Islamic influence take hold of Malaysia. The juxtaposition of Hindu, Buddhist and Islamic traditions still characterize’s Malaysian culture today, and many people practice pieces of all three religions. In 1511, Malaysia fell to the Portuguese, but in 1641 it passed into the hands of the Dutch. Both of these powers influenced development on Peninsular Malaysia, also known as western Malaysia. Just over a century later, the British began to exert influence over Malaysia; they did this largely from Singapore, but also were the first to incorporate Borneo into their Malaysian territories. Over the course of the 1800s, the British would come to control most of modern day Malaysia. During WWII, Malaysia was invaded by the Japanese, stirring revolutionary movements amongst the Malays. These intensified when Britain launched a huge campaign to recapture the country. In 1963, Malaysia finally achieved independence. Two years later, Singapore left the country and established itself as an independent entity. Initially, Malaysia grew quickly, but the economic woes of the 1990s crushed much of its progress. However, modern Malaysia has done an admirable job rebounding. It’s tourist sector has grown substantially in the 21st century, due largely to its gorgeous beaches and cheap prices. 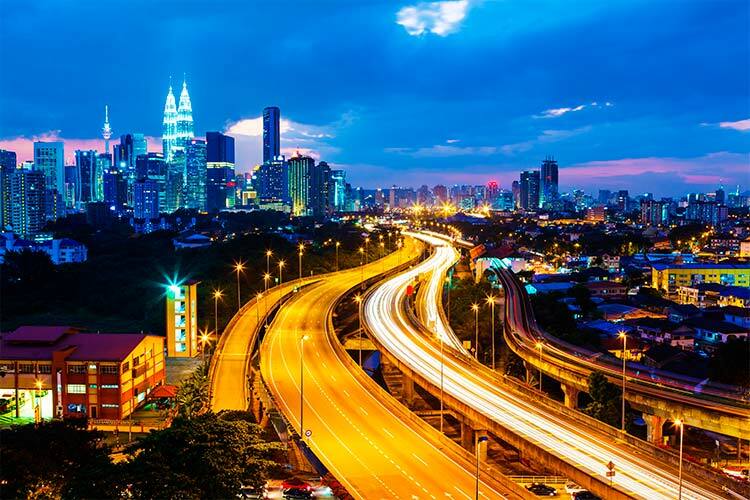 Most international travelers will pass through Kuala Lumpur, the capital and largest city of Malaysia. The city is actually quite young by Malaysian standards at only 160 years of age, but it’s already grown into a sprawling metropolis with tons to offer travelers. The Petronas Towers are a pair of skyscrapers which once held the title of the world’s tallest building, and even today they are a symbol of the city. The city also features a number of British era colonial structures, which are largely found around the historic city centre. Near the city centre also sits Kuala Lumpur’s Chinatown. Once a bastion of Chinese enterprise, Chinatown has now devolved into mostly tourist-focused shops and restaurants, but it’s still a fun place for travelers to visit. 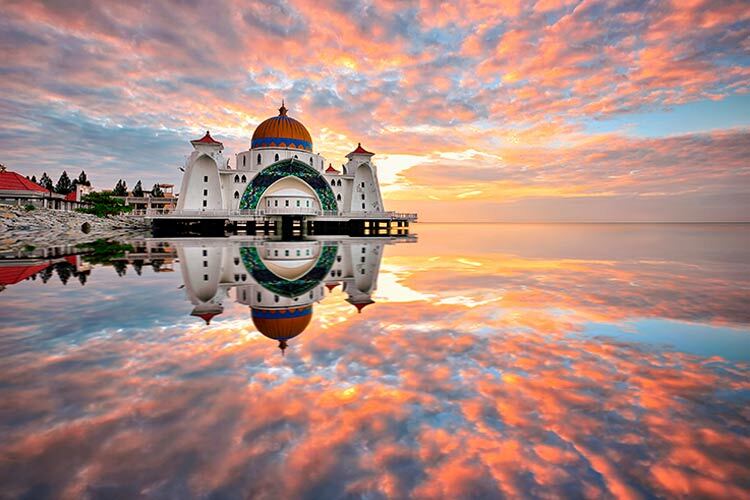 While in Malaysia, travelers absolutely must pass through Malacca. 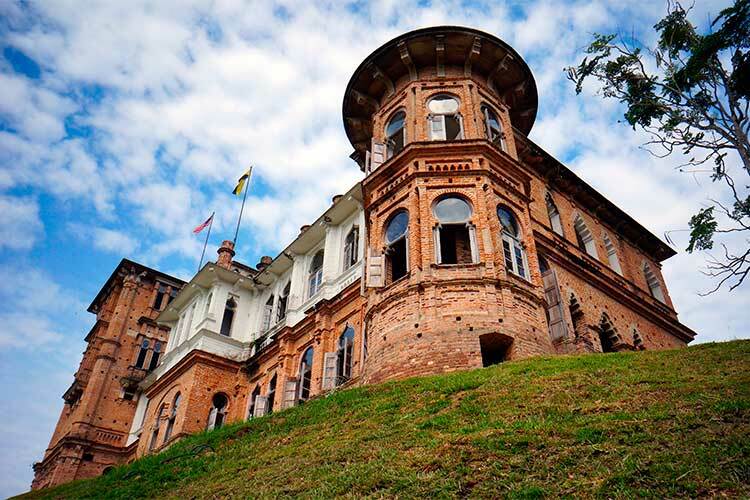 This historic town is heavily characterized by its colonial British, Dutch and Portuguese structures, while still retaining a distinctly Malaysian flair. Furthermore, the city was a hub for Chinese traders, who left a number of interesting architectural oddities. Malacca’s old town, especially near Jonker Street, is the best place to see examples of European and Chinese colonial architecture. The old sultan’s palace from the days of the powerful Malacca Sultanate is also worth a visit. The palace contains a fascinating museum pertaining to the area’s history. Malacca is also known for its delectable food, namely the iconic chicken rice balls. Kuching is the largest city on Borneo in eastern Malaysia, and makes for a great central point for exploring the rest of the island. Kubah National Park and Gunung Gading National Park are two of the most popular areas to explore near Kuching. The latter of these features Rafflesia, the world’s largest flower. 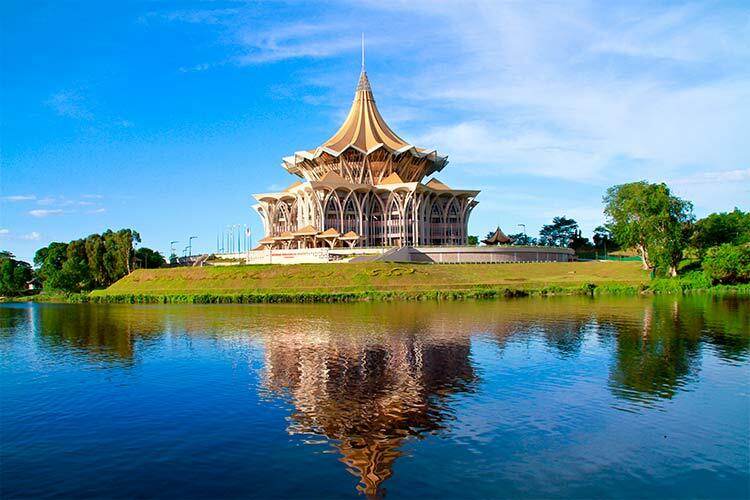 The city of Kuching itself also contains a number of tourist destinations. Just south of the city centre sits a cluster of great museums, including the Sarawak Museum. This is the oldest museum in all of Borneo. Kuching is also known for its beaches, especially during the gorgeous sunsets. Damai Beach is just one of several popular beaches in Kuching. 1) Georgetown is a spectacular island city established along with Malacca and Singapore by the British. Its colonial roots are still very evident, with numerous colonial era structures still in use. The bright purple mansion of Chinese merchant Cheong Fatt Tze is worth exploring. Georgetown also sits next to the coastal city of Butterworth, which is a lovely area to visit in its own right. 2) While in Ipoh, be sure to see the Birch Memorial Clocktower and the opulent Ipoh Railway Station. Furthermore, head out of the city to see Kelle’s Castle (pictured below). This abandoned estate is said to be haunted and features numerous hidden corridors linked by a network of secret passages. Ipoh is also known for its numerous beautiful cave temples. 3) The Petronas Twin Towers in Kuala Lumpur are one of Malaysia’s most iconic sites. These towers where once the tallest buildings in the world. The city also features a bustling Chinatown district characterized by street vendors and narrow, winding streets. Kuala Lumpur is also home to Malaysia’s National Museum, which provides fascinating exhibits on the country’s heritage. 4) Spend some time exploring Jonker Street in Malacca to see examples of both European and Chinese colonial style architecture. The city also contains a distinctly Portuguese area where many descendants of the original Portuguese conquerers from the 1500s still live. Malacca also contains several beaches, including bustling Klebang Beach. 5) Kuching is the largest city on Borneo. Visitors should wander the city, paying attention to the odd juxtaposition of skyscrapers with rainforest. Travelers should also check out the Sarawak Museum, an interesting museum about Sarawak’s heritage. For a less traditional museum visit, try the Cat Museum. Because Kuching literally means cat in Malay, this museum celebrates anything and everything related to cats. 6) Kota Kinabalu’s Green Connection Aquarium is definitely worth visiting, as it allows you to view tropical fish, dive into a tank and feed the animals, or even touch snakes and sharks. The city is also known for its beaches, such as Tanjung Aru and Likas Bay Beach. There are numerous pristine nature reserves near Kota Kinabalu, including the islands of Tunka Abdul Rahman Marine Park. 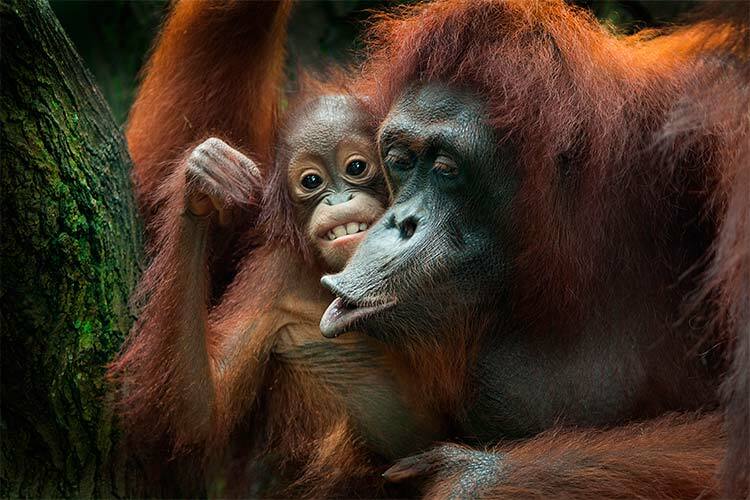 7) Sandakan’s most well known attraction is undoubtedly the Sepilok Orangutan Sanctuary, an area where abandoned or injured orangutans are cared for and taught to exist in the wild. A similar facility also exists in Sandakan for proboscis monkeys. Sandakan’s botanical garden is also a popular site, as it is one of Borneo’s best.